Discussion in ''21 Offered Prospects' started by OSUBasketballJunkie, Feb 2, 2019. The push Ryan Day and the Buckeyes are making to recruit Ohio more aggressively continues. This week, Ohio State offered Solon defensive end Najee Story. The offer was first reported by Bucknuts.com’s Bill Greene, who also reported that the 6-foot-4, 235-pound Story will visit Ohio State this coming weekend as one of the rising number of in-state targets set to be on campus in Columbus. Story visited the Buckeyes in December for a bowl-prep practice and was at Michigan for a junior day with the Wolverines last weekend. 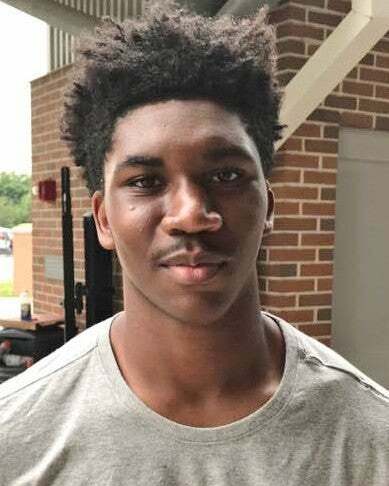 He’ll be one of two in-state sophomore defensive ends in Columbus, joining Pickerington North’s Jack Sawyer, who will return for another visit with Ohio State though he’ll only be on campus early Saturday due to a basketball game scheduled for 2:30 p.m. that afternoon. The Buckeyes got their 2021 recruiting class off to a fantastic start when future 5-star defensive end Jack Sawyer committed to Ohio State. Sawyer visited the Buckeyes over the weekend and was on campus with another 2021 in-state defensive end who has quickly become a major name to know for Ohio State fans: Najee Story. He was offered by the Buckeyes a week ago — and is still in shock about the offer. The 6-foot-4, 220-pound Story visited Ohio State in December for a bowl practice, and the Solon prospect was back in town for a key weekend in Columbus. “I only watched the practice the first time,” Story said. “I talked with some coaches briefly before but this was way more in-depth. I spent a lot of time with [Ohio State defensive line] Coach [Larry] Johnson. There was some talk heading into the weekend that Story could bring his recruitment to an early end, and while he didn’t do that, his recruitment almost has the feel of inevitability that he will end up eventually picking Ohio State. Right now, he’s more focused on rehabbing a broken leg that prematurely ended his sophomore year. Another major Ohio prospect in the Class of 2021 with an offer from the Buckeyes held off on committing during his spring game visit as well. For Solon’s Najee Story the issue seems to remain simple: More of his family needs to see the Ohio State program up close. Story, a 6-foot-4, 235-pound, 4-star defensive end, spent time with Larry Johnson and 5-star commitment Jack Sawyer.